In this latest refresh of our laptops chart we removed a few of the older models, including the MSI GE62VR Apache Pro and HP Envy 15t. In their place came some top laptops that make music production a breeze! These included the high-end Samsung Notebook 9, as well as the awesome Eluktro Pro-X N857EK1 and the cool Razer Blade Stealth 13.3″. Recording and producing great music at home has become not only possible, but the preferred method of many producers thanks to the constantly evolving technology in computers. What Makes a Good Laptop for a Recording Studio? You Have a Good Laptop… What Else? While the process of making music used to require a studio full of bulky equipment, in 2018 the same process can now be accomplished with a single laptop! Of course, a set of good monitoring speakers and maybe a MIDI keyboard controller wouldn’t be bad additions, but in essence a laptop is all you need to get started. In today’s article we are highlighting some of the best music production laptops currently on the market. After this, stick around for a rundown of the specs and features you should look out for when buying a new laptop for the purpose of producing music, and why hardware matters. By the time you are finished, you should have a good idea of what a worthwhile music production laptop should offer. The modern standard for audio and video production in a portable format. One of the absolute best choices for Windows based DAWs out there. A gaming rig that is capable of some serious music production. A great option for people who consider portability part of their lifestyle. Great little laptop that offers decent hardware at a very reasonable price. A very capable powerhouse that looks stealthy but packs a mean punch. A lightweight machine that will cater to musicians with gaming enthusiasm. We kick off with an absolute legend – Apple’s MacBook Pro. This premium laptop has been a staple of music production for a long time and the newest iteration packs a lot into a very attractive package. The system and specs are basically bulletproof, with a 2.6GHz 6-core 8th-generation Intel Core i7 processor and a 512GB SSD giving you huge power for resource-hungry production. With a 15.4” Retina LED-backlit display, it comes with plenty of screen real estate, which is a must-have for busy DAW interface layouts. Due to the lightweight, quality build, the MacBook Pro is the ultimate music production platform for those on the go. It’s certainly not for somebody on a budget, but the price you pay feels worthy of the overall design, power and performance you receive. The laptop market has always been Dell’s bread and butter, although lately the brand has started releasing machines that compare to Apple products in pretty much every single way. 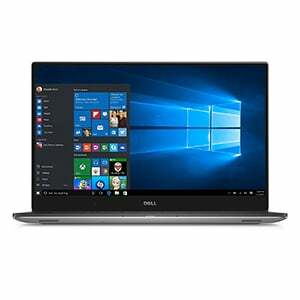 Dell’s XPS 15 demonstrates that high levels of both style and performance can be attained at a reasonable price. From a music production point of view, this laptop delivers everything you need and then some, running DAWs with ease. This includes a large 15.6” screen that features a beautiful 4K resolution and tiny bezel. Under the hood you’ll find the latest i7 Quad-Core processor, along with 16GB of DDR4 RAM and a 512GB SSD. In all, this amounts to a very fast, high-end machine that is lightweight, compact and ready to go straight from the box. A new addition to this list may surprise some, as Eluktronics isn’t a name with the same prestige as Apple, Dell or Samsung. Yet, they craft some incredible laptops that make music production a breeze. Their Pro-X N857EK1 is proof of this. 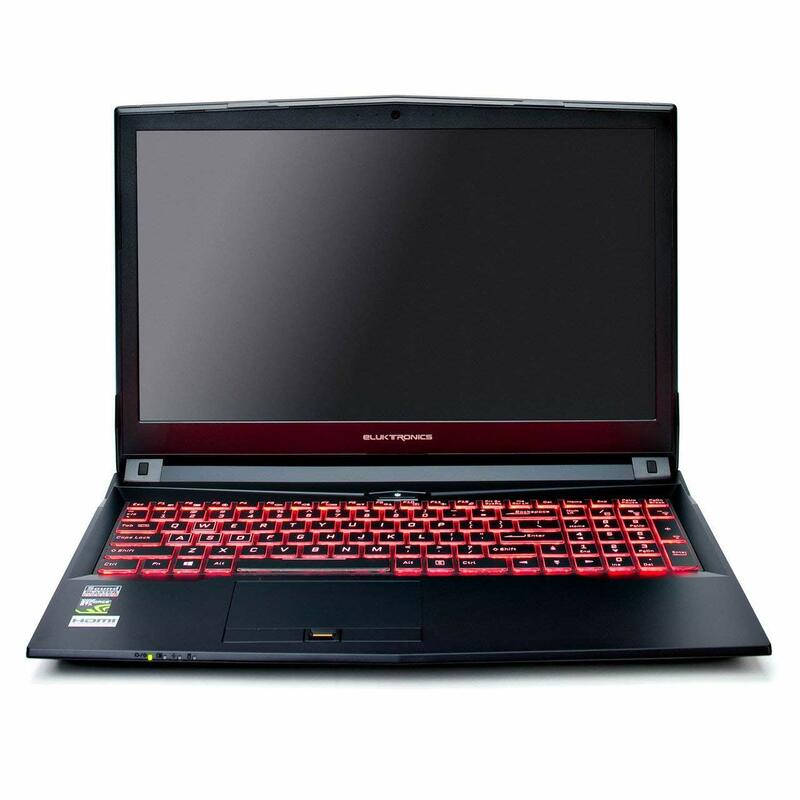 A gaming laptop at heart, this exceptional machine features an Intel Core i7 Quad-Core processor with 32GB of RAM and a 512GB SSD. This amounts to an incredibly high performance that will make producing tracks on the go a pleasure. The overall build is also top notch, with a durable chassis housing a large 15.6” full HD screen and a full-size RGB backlit keyboard, as well as a fingerprint scanner. Despite being a small name, the quality and value here is huge. Their customer service is also excellent! You can always rely on Samsung to deliver a solid piece of kit, and the Notebook 9 is exactly that. With an i7 processor it delivers great power, backed up by 16GB RAM and a 256 SSD – more than enough for a busy music producer on the go. On that note, taking this laptop with you on your travels is where it excels. It features an incredibly sleek and stylish build that is incredibly lightweight and portable. In fact, it is actually slightly thinner than a MacBook Air, which is saying something! With a vibrant 15” full HD screen, there is plenty of real estate for a complex DAW, while the battery life is solid. It’s not the cheapest of laptops, but it feels worth it for the premium performance. Lenovo’s E570 is a high-performance laptop that proves one of the best buys right now. It features the timeless ThinkPad design, with a responsive keyboard and a solid feel – not as lightweight as some of the others on this list, but very durable. Lenovo’s main focus has gone on packing the E570 full of the right hardware to get the job done. In terms of raw specs, we have an i7-7500U processor, 16GB of RAM and 256GB SSD, as well as a NVIDIA GeForce GTX950M GPU. Don’t forget the full HD 15.6” IPS display. This all amounts to a fast and smooth performance that will cope with long sessions on your DAW. It’s certainly not as flashy as its competitors, but overall the E570 is a very solid performer for a decent price. Acer’s lineup of gaming laptops is where you will find some true hidden gems – such as the Aspire VX 15. It’s an awesome laptop for music production and a very worthy addition to this list. The brand is rightly proud of its design here, with hard edges, aggressive lines and a red backlit keyboard making for an eye-catching machine. But it is equally aggressive under the hood, with a 7th Gen Intel Core i7-7700HQ processor, 16GB DDR4 RAM and 256GB SSD for a powerful performance. Along with a 15.6” full HD screen and dual fans, the VX 15 is built to cope with the newest resource-hungry games, although copes just as well with DAW software. Making music on this bad boy is a real pleasure! Stealth by name, stealth by nature! While the Razer Blade Stealth may not be as big a name in the world of computing, this gaming laptop is a sensible piece of kit for music production on the fly. It features a lightweight construction, with a stylish anodized aluminum chassis coming in either gunmetal or black, and a cool multicolored backlit keyboard. It’s a little smaller than some of the others on this list, with a 13.3” QHD+ screen, but this just adds to its portability. In terms of specs, the Stealth features an 8th Gen Intel Core i7 processor with 16GB of DDR4 RAM and a 256GB SSD – very powerful for a smooth performance. An added bonus is that it comes with no bloatware or other junk installed, just pure performance straight from the box. The evolution of computers and related technology has profoundly changed our world. One of the impacts of these changes can be seen in the way we produce music today. With hardware getting faster and more powerful, it didn’t take long for people to develop software that would take full advantage of that new potential. This means today all you really need in order to produce good music in the comfort of your own home is nothing more than a laptop and a good DAW – it’s a great time to be alive! The CPU (Central Processing Unit) is the core of every computer. In essence, this circuitry is tasked with handling all computing tasks, from surfing the web to rendering tracks in a DAW. In the context of music production, more CPU power means shorter processing times in post-production, as well as the fluid handling of various plugins. In general, DAWs tend to be bulky and resource-hungry compared to the other software you use on a daily basis. Even the most basic CPU should be able to handle a DAW, but the moment you start using more than a few plugins, you will run into trouble. As no producer knows how complex their next project might be, it is always a good idea to get as much headroom with CPUs as possible. Aim for one of the CPUs mentioned in our chart and you won’t go far wrong. While CPUs are incredibly important, a lack of RAM (Random Access Memory) tends to be the main cause of sluggish DAW performance. Whenever you open your DAW and start loading multiple plugins, samples and effects, all of that information is stored in your RAM memory for quick access. Having adequate RAM is therefore essential to a smooth workflow. In order to have complete freedom during your work, we highly recommend that you go with 16GB of RAM. Some users on a desktop computer may prefer 32GB, but 16GB for a laptop is the ideal aim. You can get away with 8GB, but if you go below that, you will find it extremely hard to work smoothly as your system will slow down noticeably during busy sessions – not ideal for making good music. There are two types of storage used in modern computing – Solid State Drives (SSD) and hard disk drives (HDD). A Solid State Drive is the newest drive type, which proves a much faster method of storage. While 1TB SSDs are becoming popular, it’s most likely that you will run into 512GB and 256GB units on your hunt for a music production laptop. Generally speaking, this type of storage device is where you would install your operating system and all of the software you need. Due to its increased speed, a solid-state drive will pull information, files and media much faster, making work feel incredibly smooth. So why use an HDD at all? This is the classic drive type, which is generally much slower than an SSD. However, an HDD is the perfect storage device in which to hold your finished products, samples and other tools you might use. Having said that, you can absolutely use HDDs as your primary storage method, but your software will tend to start slower and generally work a little slower. You rarely see HDDs in new laptops these days as they take up much more space. Our advice – which should be easy to follow in the current market – is to buy a laptop with a good SDD, then buy an external HDD for backing things up and extra storage. In addition to the three main hardware components, there are a few other considerations that are important, even if they don’t affect the overall system performance. The first is the display. Having a good screen size shouldn’t be overlooked as it can make your workflow much smoother. Despite the power under the hood, if a laptop’s screen is too small, you will be working with a cramped DAW. The majority of the models on our chart feature around a 15” screen, which is optimum for a music production laptop. You can certainly get away with something in the 13” to 14” region too, but anything smaller than that will make life difficult. Also, be aware of the resolution. Some screens will be full HD while others are 4K, and these are the minimum you should be going for. When you start using DAWs seriously, you will quickly find out that every plugin, effect and feature has its own little interface. Some are more complex than others, but they all take up a portion of your screen. Having more definition and pixels helps with organizing your work space better. Higher resolution panels allow you to arrange everything so that all of your tools are in plain sight. With low resolution panels, you are forced to open different tools as you use them. While we have sung the praises of a laptop as the most important tool for music production, as a producer you will certainly need to use other hardware to make the best music – this may include speakers, audio interfaces, microphones and MIDI controllers. With this in mind, connectivity becomes a real factor. Make sure to opt for a laptop that comes with enough USB ports – you don’t need to be an experienced producer to know how quickly ports fill up with peripherals! Also note the USB type. Some laptops will feature USB 2.0, some will feature USB 3.0 – the difference between these is huge. While USB 3.0 allows for faster charging, its transfer speeds are the biggest difference, with USB 3.0 capping out at 5,000MBps to make USB 2.0 look measly with its 480MBps. While you definitely shouldn’t choose your laptop based solely on what USB ports it features, it’s worth being aware of the number and type on offer. Also remember that, to get USB 3.0 speeds, you also need to be using a USB 3.0 cable/device. Plugging a USB 2.0 cable into a USB 3.0 laptop port will still result in a USB 2.0 speed. One of the most heated debates when it comes to music production hardware (well, most hardware these days actually!) is over which is better – a Windows-based system or an Apple product. However, the question shouldn’t be about which laptop is better, but which DAW you are planning on using. The fact of the matter is that there are DAWs designed exclusively for Windows and those designed solely for Apple OS. This means that you should choose the hardware based on your preferred software. If the software you like is available on both platforms (a lot of it is), then the decision over which operating system to use will come down to personal preference. These days, both Apple and Windows products can be very similar in terms of price, specs and performance, and each has their own pros and cons – too many to list here. Do some research and make an informed decision based on how you plan to use your laptop. After eventually settling on a laptop that fits your needs, it is time to plan your setup around it. Firstly, think about buying some external storage to back up your files and tracks, and take some of the strain off your laptop. Also consider buying an external monitor, if you are working in a home or studio setup. Having a large desktop monitor can take reduce eye fatigue and give you more space to work with (because you will never find a 32” screen on a laptop!). Laptops are still the most practical and convenient format of computers for music production, especially for those who are just starting out or moving from place to place. The models we have highlighted today are undoubtedly some of the best on the market at the moment and are worth considering. No matter what laptop you go for, providing you follow our advice, you should find yourself with a powerful tool that allows you to install a good DAW and create some awesome audio! Good luck! This is one of the most informative and readable articles on the pros and cons of using laptop computers for music production I’ve read in the last year. Thank you for providing such a helpful service to home studio musicians.